The Bike Coalition at UCLA is a collective of students, faculty, and staff working to make the UCLA campus and the surrounding area a better place to ride. Find out more on our Facebook page and List-Serve. Come join us in the Luskin School of Public Affairs common room 3383 on April 9th to discuss our upcoming bike month events, a graduate student transportation fee, and Gayley Blvd. bike lane proposal in Westwood. 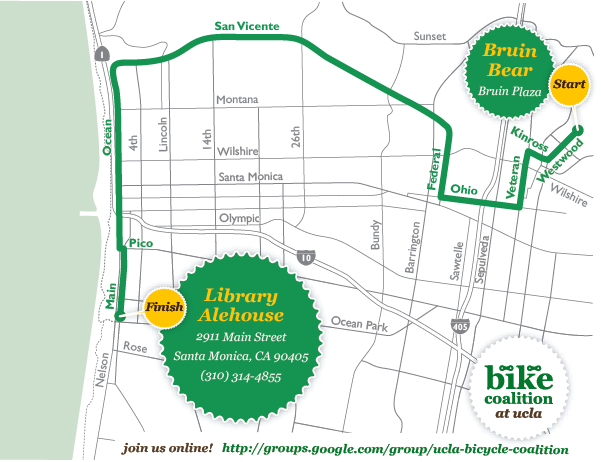 Join the Bicycle Coalition at UCLA on the corner of Le Conte and Westwood each first Thursday of the month from now until May. We’ll have coffee and snacks for you and your bike. 7 – 10 am. Interested in helping? Sign up to volunteer here. 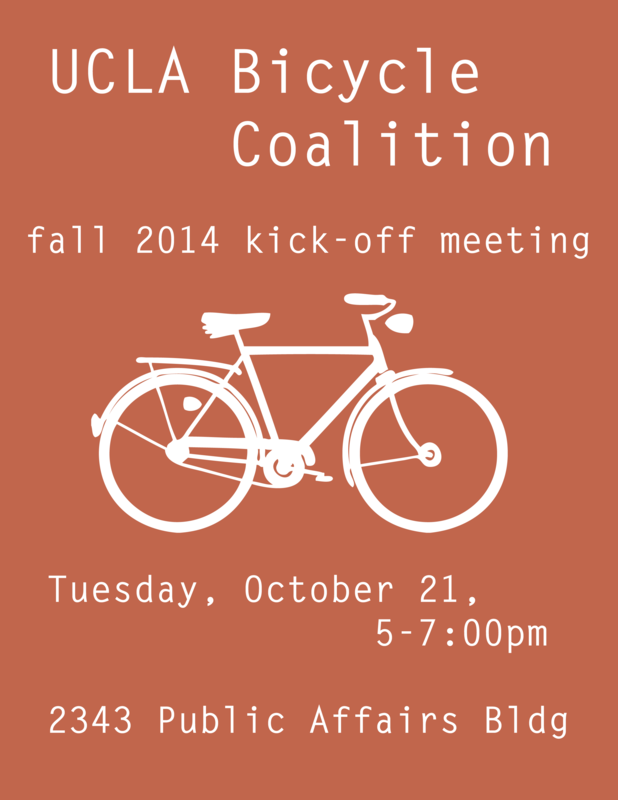 Representatives of the Coalition will be on hand to answer questions about biking in Los Angeles, getting around campus, and becoming more involved with the bike movement in L.A. 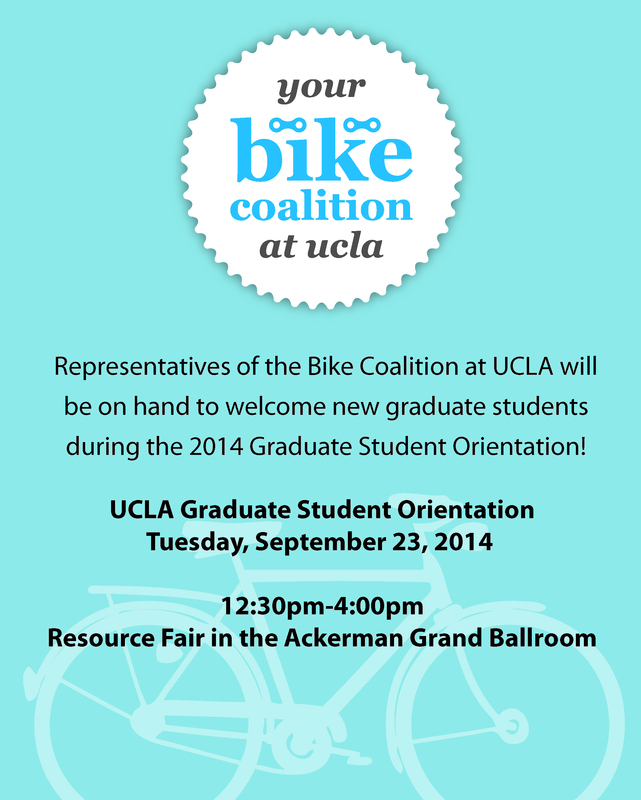 The Bike Coalition at UCLA announces first meeting of 2014/15 Academic Year! Please join us on Tuesday, October 21st from 5:00pm to 7:00pm in 2343 Public Affairs on UCLA campus. Held in conjunction with the LACBC Neighborhood Bike Ambassador Program West chapter. 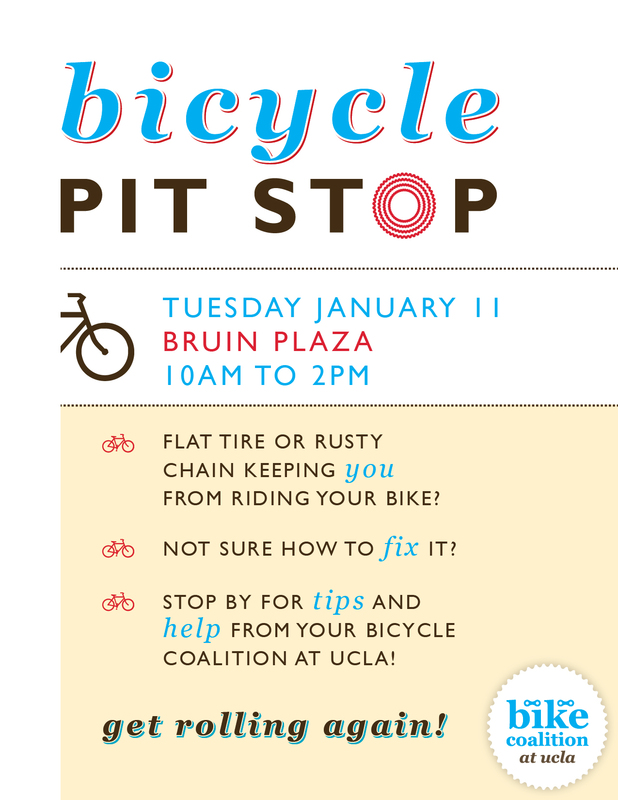 Winter Quarter Pit Stop – Tuesday, January 11! Fall Quarter Bike Ride this Friday! 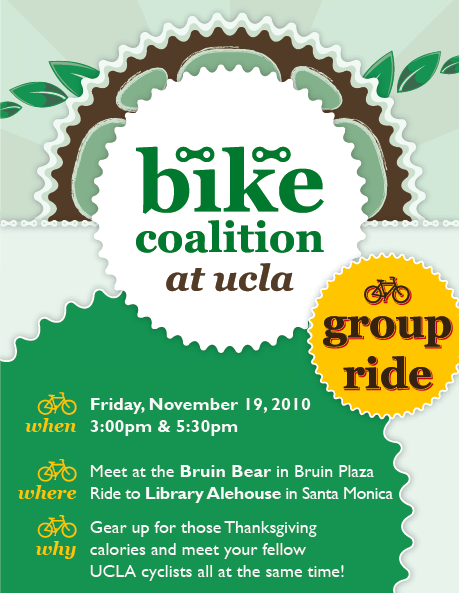 Welcome to the UCLA Bike Coalition Website. Check back for upcoming events, current initiatives and opportunities to get involved.